Are you experiencing problems with your toilet? There are a variety of things that can go wrong with your plumbing, from the tank in your toilet not properly filling up, to leaks and clogs. It is not possible to flush your commode or the water keeps running non-stop. At Lightfoot Plumbing, we can help with any Toilet Repair you may be experiencing. We have been providing professional plumbing services for over 33 years and provide sales, installations, and repairs. We service Weatherford and surrounding areas, including Fort Worth, Aledo, Granbury, and Burleson. Toilet leaks are a common problem in households. It may seem like an easy problem to fix, but it’s always best to trust a licensed plumber to complete the job. At Lightfoot Plumbing, our plumbers are fully licensed and have the necessary experience to deal with any toilet issues you may be experiencing. Clogs are very common and can be down to a variety of problems. Sometimes objects are accidentally dropped in the toilet, or it may be caused by a build-up of toilet paper. We may need to use a plunger, drain cleaner, or hydro jetting to solve the clog. You may hear continuously running water in the toilet tank long after you have last flushed it. This can sound like hissing and could mean that part of the tank is malfunctioning. Your tank float may need adjusting or replacement! Water may also trickle into the bowl, with the toilet running, or cutting on and off, by itself. A slow leak could be caused by a faulty flapper or flapper seat, which may need to be replaced. Seals will experience wear and tear over time or may calcify. A standard toilet has five seals, and when these wear out by becoming hard and brittle, then they will start to leak. Our plumbers can stop the leaks by simply replacing these Toilet Seals. 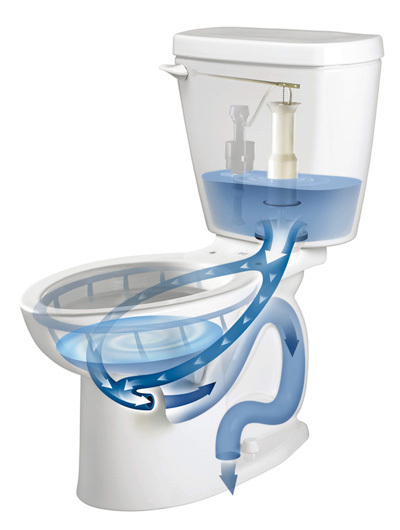 If you have clogged holes under the rim of the bowl, then this may be causing weak flushes. You may notice this occur if the toilet bowl empties slowly. No matter what toilet issues you may be experiencing – our plumbers can help. We deal with leaks and clogs regularly, and are on hand 24 hours a day, seven days a week. If the time has come for you to get a new toilet, we can help you choose and install the right one for your home. Whether you want a more efficient model, are in the middle of remodeling your bathroom, or are simply looking to upgrade your old toilet, we can pair you with a design that will fit perfectly for your family. There are various different toilets to choose from, which can make selecting a new model confusing and time-consuming. At Lightfoot Plumbing, we are more than happy to take the time to discuss your needs so you can find the best option for you. Replacing an old toilet could end up saving you money in the long run, by cutting down the amount of water you use. Toilets can account for almost 30% of your average water consumption. Newer models exist that are highly efficient and low-flow, so you can cut down on your water usage without having to make any sacrifices. Clogged Toilet? We Can Help! At Lightfoot Plumbing, we have been serving customers in Weatherford Texas since 1983. Our plumbers are knowledgeable, well experienced, and can solve your plumbing issues quickly and efficiently. We offer professional toilet repair services 24 hours a day for your convenience. Whether you need to fix a leak or want a new toilet installed in your home, just give us a call, and we can help.